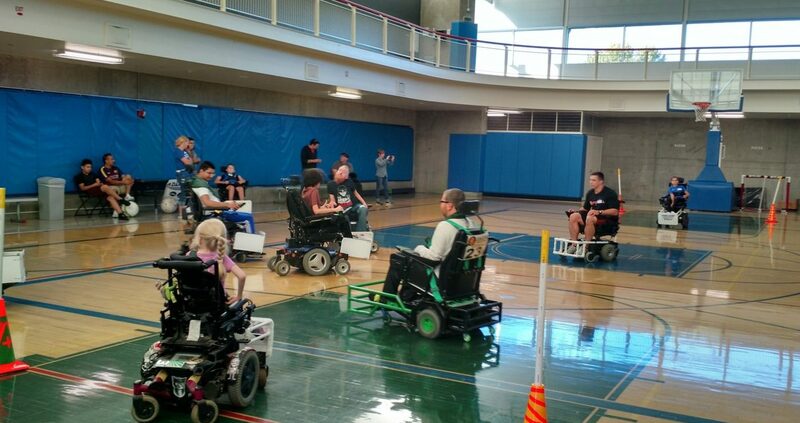 Adaptive Sports Northwest Power Soccer program is designed and developed especially for power wheelchair users. It’s a team sport that helps build character through teamwork, communication, hard work, perseverance, good sportsmanship. 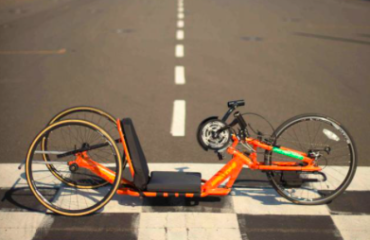 It’s the only team sport available to power wheelchair users including persons with quadriplegia, multiple sclerosis, muscular dystrophy, cerebral palsy, head trauma, stroke, spinal cord injury and other disabilities. 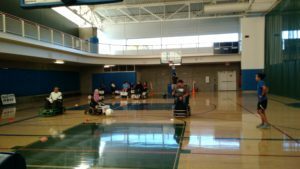 ASNW Power Soccer provides local youth and adults in power wheelchairs opportunities to participate in a sport that is not normally available to them. 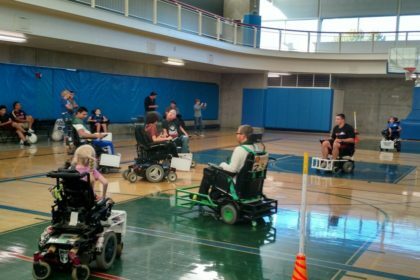 Being on the court, playing soccer helps the athletes realize that being in a wheelchair is not an excuse for not achieving their goals. Our program promotes interaction with other people in a positive community setting, promoting teamwork, while allowing them the ability to participate in sports competitively or recreational. The game is played in a gymnasium on a regulation basketball court. Two teams of four players attack, defend, and spin-kick a 13-inch soccer ball in a skilled and challenging game similar to able-bodied soccer. 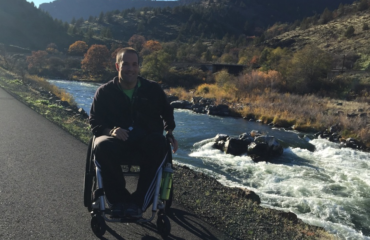 Ryan Kenneally -Ryan brings his 5 years experience playing power soccer in the United States Power Soccer Associations Premier, and Champions conferences. If you are interested in playing please visit http://www.adaptivesportsnw.org/power-soccer/ or contact Ryan Kenneally at originalgk@gmail.com.